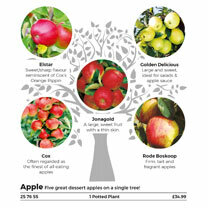 Dobies of Devon is proud to bring you an excellent selection of top-quality apple trees. 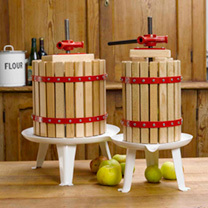 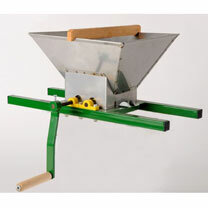 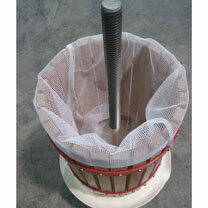 With them, you can grow delicious fruit at home. 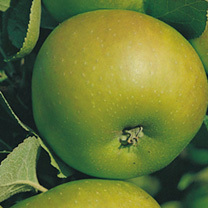 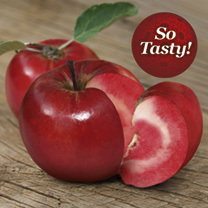 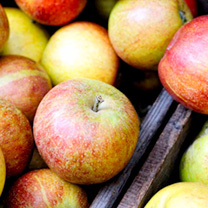 Britain has the best climate in the world for growing apples, allowing them to develop excellent flavour and colour. 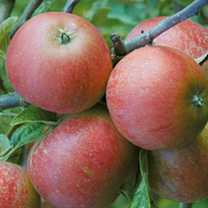 Unless otherwise stated, our apples are grafted onto M26 rootstock, which produces easy-to-control, semi dwarf trees with medium vigour. 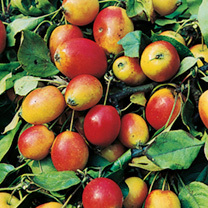 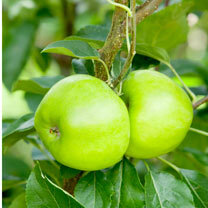 They’re ideal for the garden, as you can easily reach to prune, spray and pick those luscious fruits. 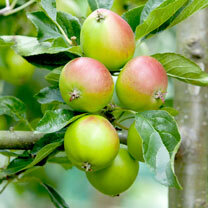 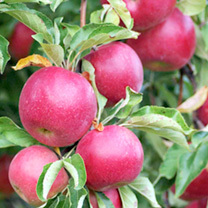 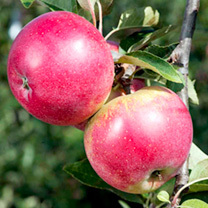 Buy apple trees online with Dobies of Devon today. 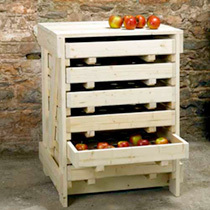 Already ordered? 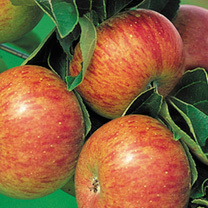 Check out the latest despatch information with our plant despatch schedule.